Obituary for Kearney M. Murray | Ambrose Funeral Home and Cremation Services, Inc.
Kearney M. Murray, age 85, passed away on October 31, 2018 In Baltimore, Maryland. Kearney was born on April 20, 1933 in Pennsylvania to the late Harriett Murray (nee Miller) and to the late Benjamin Franklin Murray. 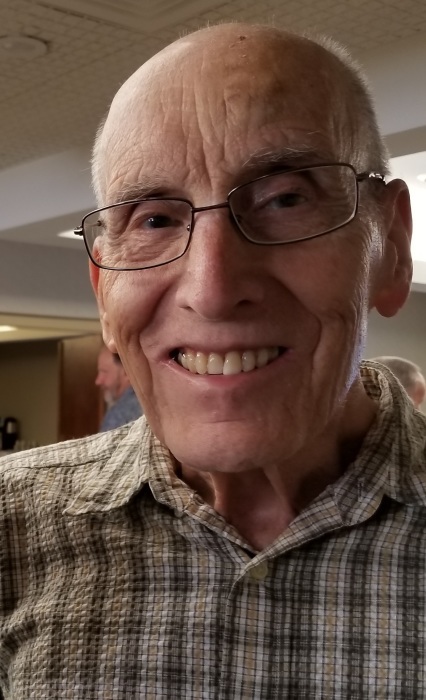 Kearney is the beloved husband of the late Carolyn Jane and Nola Murray; loving father of Keith H. Elza, James K. Murray, Kathy A. Elza-Brown and Charlene Reardon; cherished grandfather of seven grandchildren and eight great grandchildren; dear brother of Shirley Swayne. Also survived by other loving relatives and friends.Current resident of Charlestown Retirement Community. Family members and friends will honor Kearney’s life with a memorial service beginning at 10am on November 10, 2018 at Lansdowne United Methodist Church, 114 Lavern Ave., Baltimore, MD 21227. In lieu of flowers at the family's request donations in Kearney's memory may be directed to Lansdowne United Methodist Church.